The bass have already begun to spawn, this time of year most of us bass anglers look forward to getting back out on the water. 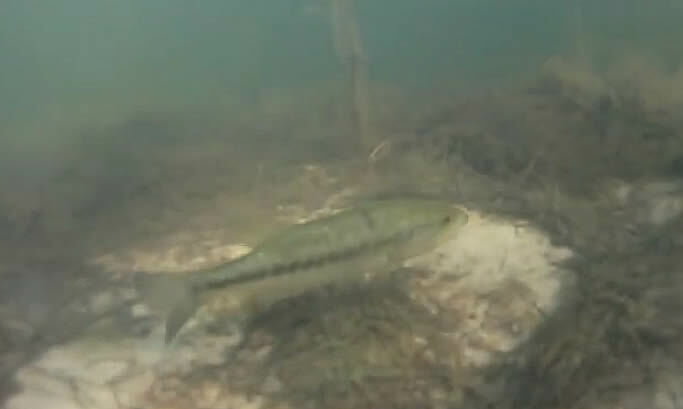 More big bass are probably caught during the spring spawn than any other time of the year. The sandbass are moving up the creeks for their spawning activity and should be easy to catch as well. The crappie and catfish won’t be far behind. As you prepare to venture out to the water, whether by boat or from the bank, there are a few things to remember. First, make sure you have a current fishing license. These can be purchased at most sporting good retail outlets or you can purchase online. You can find your states website by going to Fishing Licenses further information. Second, make sure your fishing gear is in shape. For instance, its always a good idea to clean your reels and oil them, if you did not do so at the end of last year. Also, make sure your fishing line is good. If in doubt, I would suggest replacing it. Remember, this is the time of year your chances are best for catching, or loosing, the big one. By changing your line now, most of you should be ok for the remainder of the season. If you are going to be fishing by boat, its always a good idea to make sure your boat and motor are in good working order prior to going fishing. Just this past weekend, I saw at least three boater having trouble getting their boats started at the boat ramp. All too often, we fail to prepare fully for a fishing trip. Save yourself the headache and disappointment of having everything ready except your boat. Blake’s Boats and Repair or one of our other service dealers would be happy to schedule an appointment for you to make sure everything is working properly before you head out to the lake for a day of fishing. Last, but not least, if you are taking a kid fishing, be sure to have plenty of drinks and snacks on hand just in case the fish aren’t biting or if things get slow. Youngsters often loose interest quicker than adults do. You wouldn’t want them to become disenchanted with fishing just because the fish might not be biting. Remember, its not the number you catch or the size of the fish, but rather the experience you have in the great outdoors.